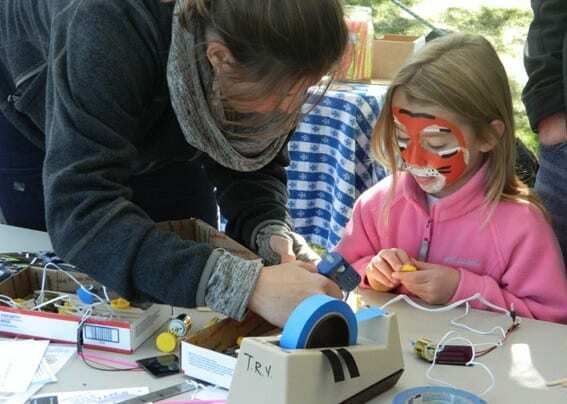 RUTLAND — This past weekend, Oct. 11 and 12, the Chaffee Art Center hosted its bi-annual fundraiser, Art in the Park at the corners of Routes 4 and 7 in Main Street Park. The festival featured 80 juried artisans and crafters of wood, metal, pottery, jewelry, fine art, specialty food, photography, glass, and more. Diverse food vendors, live music, art performances, art demonstrations, and community and children’s art activities made the festival interactive, educational and entertaining. Many visitors each year attend the annual Art in the Park event in order to get a jump on their holiday shopping. Unique, quality, handmade gifts were plentiful! Art in the Park is held twice annually in August and in October. For more information visit chaffeeartcenter.org.